Paper Smooches LET'S CHILL Wise Dies DED418 at Simon Says STAMP! DED418 This item is on reserve until If you would like to reserve this item now, you may purchase it now with the rest of your order. We will hold your order now and ship your entire order as soon as this item is back into stock. If you would like your order to ship now, please place this item on a separate order. Success, Paper Smooches LET'S CHILL Wise Dies DED418 has been shared! Sentiment is approximately 3 x 1 inch. 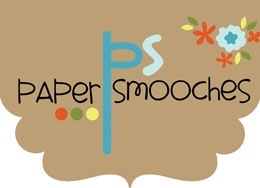 Paper Smooches stamps and dies are whimsical, happy and super fun! Paper Smooches pride themselves in creating unique products that will make your projects truly stand out! Their products are created to stand the test of time and will never retire. Paper Smooches creates hand-drawn art that will surely capture your heart. Paper Smooches' stamps and dies are proudly made in the USA and are manufactured with the best quality possible.